Genova Products 80115 ABS-DWV Couplings, 1 1/2"
Lovejoy manufactures flexible couplings, universal joints, variable speed drives and various other transmission and mechanical power products. Their products meet the standards of the International Organization for Standardization (ISO), the Deutsches Institut f r Normung (DIN), the American National Standards Institute (ANSI), the American Gear Manufacturers Association (AGMA), the Society of Automotive Engineers (SAE) and Japanese Industrial Standards (JIS) for quality assurance. The company, founded in 1900, is based in Downers Grove, IL. 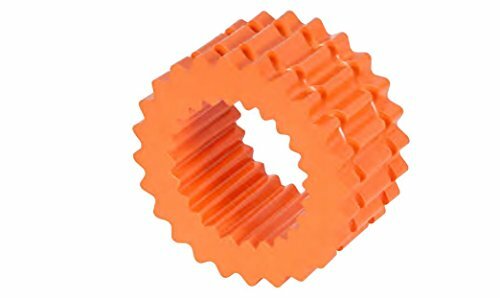 This Lovejoy solid design S-Flex coupling sleeve is for use on Lovejoy S-Flex series flexible coupling assemblies and is made of a thermoplastic polyester elastomer (Hytrel) for high torque and high temperature applications that require resistance to chemicals and oils. It flexes up to .25 degrees to compensate for angular misalignment of coupled shafts and its teeth help to distribute torsional load across the hubs to reduce wear and extend service life. Lovejoy S-Flex series flexible couplings are suitable for applications that require torsional flexibility and the capacity to withstand shock loads and vibration, including blowers, compressors, conveyors, dredges, feeders, generators, mills, and presses, among others. 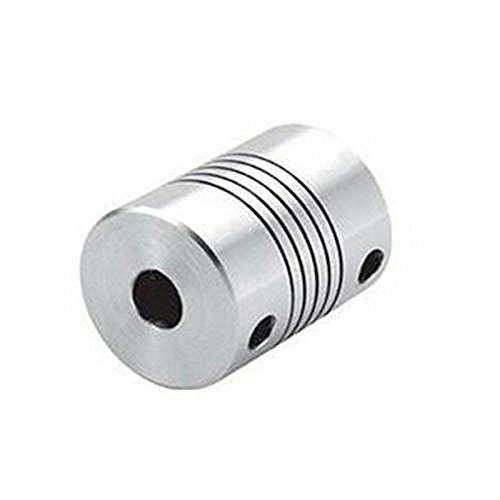 Geneva Products 80115 1 1/2" ABS-DWV Couplings. Used to join straight lengths of pipe; Hub x Hub; 1-1/2". Manufactured in United States. 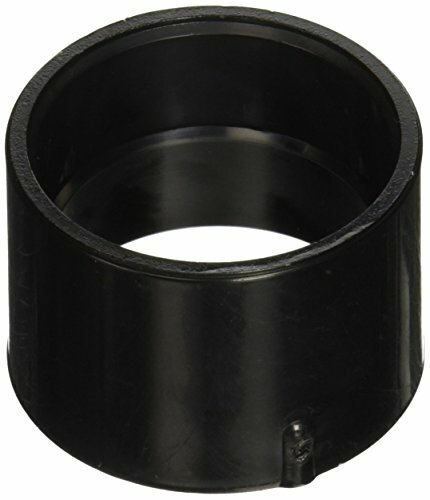 This Lovejoy 2-Piece design S-Flex coupling sleeve is for use on a Lovejoy S-Flex series flexible coupling assembly and is made of an ethylene propylene diene monomer (EPDM) synthetic rubber for transferring and absorbing shock load. 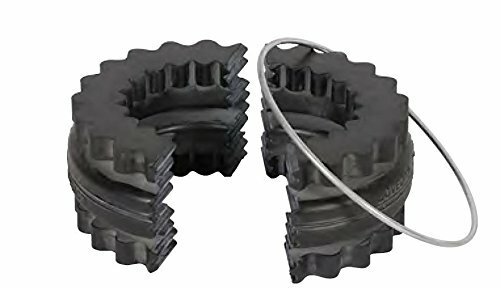 It consists of two halves with a metal retaining ring for applications where the coupled shafts are difficult to separate and its teeth help to distribute torsional load across it and the flanges, reducing wear and extending service life. Lovejoy S-Flex series flexible couplings are suitable for use in applications requiring torsional flexibility and the capacity to withstand shock loads and vibration, including blowers, compressors, conveyors, dredges, feeders, generators, mills, and presses, among others. 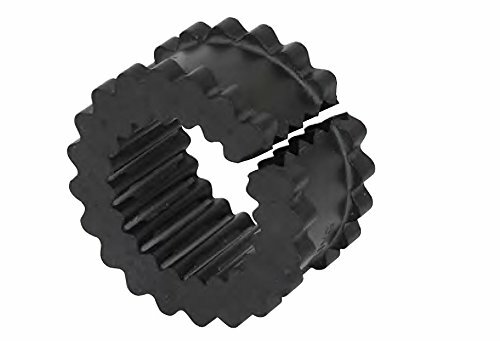 This Lovejoy split design S-Flex coupling sleeve is for use on the Lovejoy S-Flex series flexible coupling assembly and is made of an ethylene propylene diene monomer (EPDM) synthetic rubber for transferring and absorbing shock load. It consists of one split piece for applications where the coupled shafts are not difficult to separate and its teeth help to distribute torsional load across it and the flanges, reducing wear and extending service life. Lovejoy S-Flex series flexible couplings are suitable for use in applications requiring torsional flexibility and the capacity to withstand shock loads and vibration, including blowers, compressors, conveyors, dredges, feeders, generators, mills, and presses, among others. 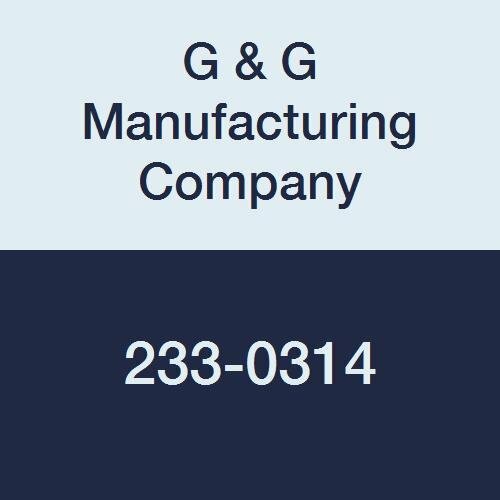 G&G Manufacturing 233-0314 Coneflex Couplings, Coupling Halves, Coupling #3, 7/8" Bore Size. 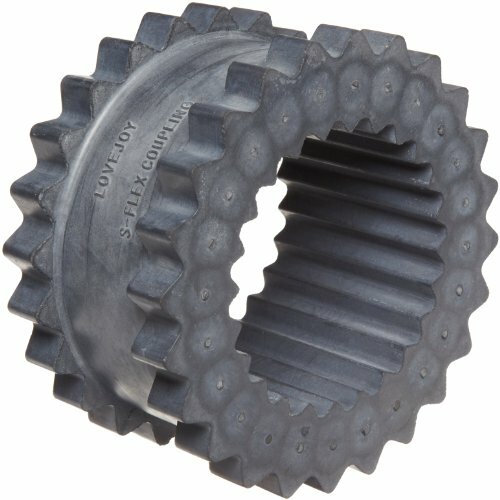 Coneflex Couplings have a unique concal design principle which provide maximum bearing area and more evenly distributed loads when operating in misaligned conditions. Pressure surfaces of jaws are accurately die cast to form a cone segment. Coupling jaws and inserts maintain their relative position even under misaligned conditions. This allows uniform compression that results in longer life. 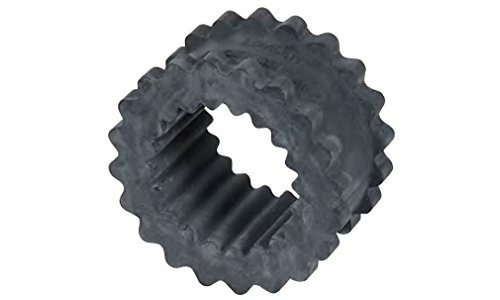 Oil resistant high grade synthetic rubber inserts have similar pressure surfaces that conform to the die cast jaws. This provides an equalized and cushioned transfer of power. 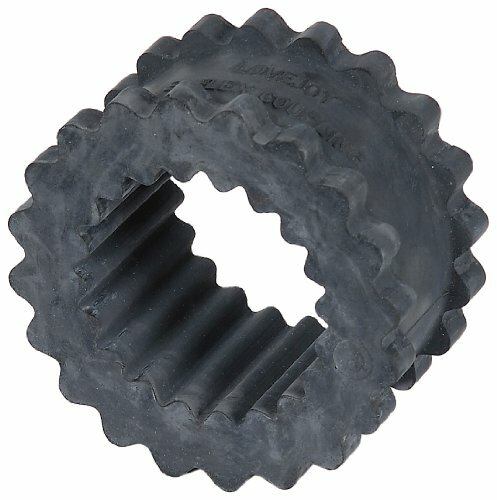 All Coneflex Coupling Halves are furnished with standard keyways and setscrews. Manufactured in the USA by G&G Manufacturing Co. Weight: .97 lbs. 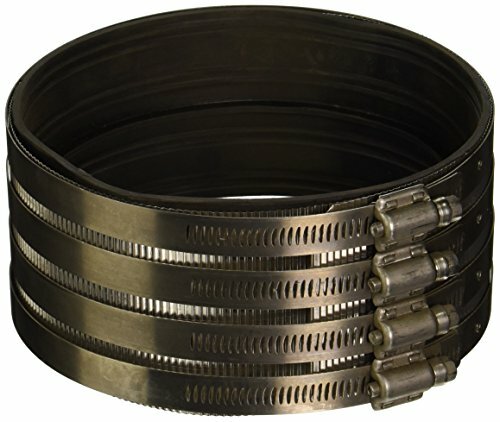 The EZ-FLO 43411 Flexible No-Hub Coupling connector consists of a standard 6-inch connection with sturdy stainless steel band and clamps which resists corrosion making it long-lasting. Eastman's Hubless Coupling is leak-proof which provides great sealing efficiency with the piping connection. The flexible design of the plumbing fixture enables quick and easy installation.